A senior Congressman just back from Afghanistan painted an upbeat picture of military operations there, but predicted only a small number of U.S. forces will be withdrawn this summer. America's top military officer painted an upbeat picture Wednesday of progress in Afghanistan. But the Joint Chiefs chairman, Adm. Mike Mullen, cautioned that recent successes are fragile and future advances will be costly. "The enemy is being pushed out of population centers. He's being denied sanctuary. And he's losing leaders by the score," Mullen said Wednesday. With the U.S. bill for Afghanistan reconstruction at $56 billion and counting, the watchdog for that spending took himself out of the game Monday, amidst intense pressure and congressional criticism. A German officer provided a reminder Tuesday of battlefield bonds between warriors of different nations - in this case between two former enemies who are now close allies - Germany and the United States. It was a double-take, what-did-he-say moment at the Pentagon Wednesday morning when the official spokesman ducked a question about whether the U.S. military is making progress in Afghanistan. Usually that would have been a slam-dunk for the military. Defense Department officials miss no opportunity to point out successes and highlight achievements in the war in Afghanistan - usually. But the latest, looming, soon-to-be released White House review of Afghanistan strategy is stifling such talk for now. "I'm not one to judge," said Col. Dave Lapan about progress in Afghanistan, at the regular off-camera meeting in his Pentagon office. "There are lots of people who have been intimately involved in this process. I'm not one of them so I'm not going to give my idea." A new Defense Department report on Afghanistan says dramatic increases in fighting against the Taliban have failed to convince the local population that the Afghan government and coalition forces will succeed. The man overseeing how billions of dollars are spent in Afghanistan is the wrong man for the job, a U.S. senator charged Thursday. Sen. Claire McCaskill, D-Missouri, criticized former Marine Corps Maj. Gen. Arnold Fields, the special inspector general for Afghanistan reconstruction, as he appeared before her and other senators at a subcommittee hearing to examine the performance of his office. That office oversees $56 billion in Afghanistan spent on projects including schools, roads and water plants. The U.S. plans to spend $16 billion more next year. "I don't think you are the right person for this job," McCaskill told Fields after more than an hour of questioning. "Fire that man, fire that man right away," called out an unidentified person who stalked out of the hearing. 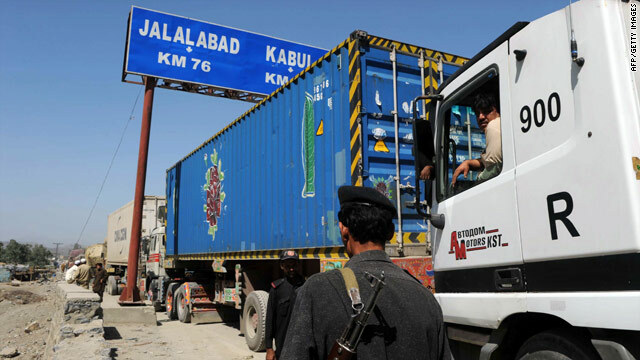 U.S. military operations in Afghanistan could continue to be fully supplied even if Pakistan refuses to open a major border post blocking hundreds of fuel tankers, the Pentagon said Tuesday. But the United States is hoping to resolve the matter and reopen the route soon. "We have been given indications that we are making progress on that front and hope to have the gate reopened as soon as possible," said Pentagon spokesman Geoff Morrell. Four US senators called on President Obama to fire the man watching over tens of billions of dollars for reconstruction of Afghanistan. 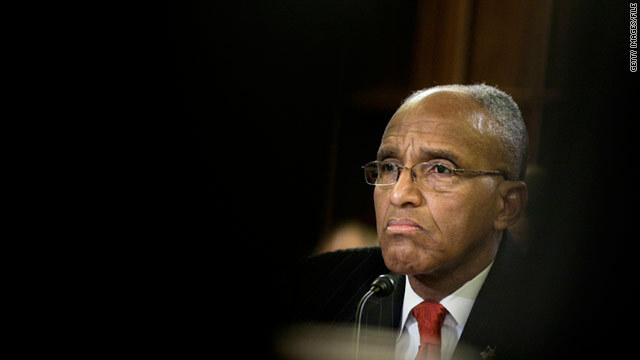 The one Democrat and three Republicans said they want Arnold Fields dismissed as Special Inspector General for Afghanistan Reconstruction (SIGAR). "It has been clear for several months that SIGAR's mission is not being served effectively…. SIGAR would be better served with new leadership," the letter to Mr. Obama states. The four Senators signing the letter were Claire McCaskill (D-MO), Tom Coburn (R-OK), Susan Collins (R-ME), and Charles Grassley (R-IA). The letter indicated the senators had written twice previously about concerns regarding the agency. "We urge you to act now," the letter said. "We are disappointed by your Administration's ongoing failure to take decisive action to make changes at SIGAR," the Senators wrote. A spokeswoman for SIGAR said Fields had been on a plane to Afghanistan Thursday and was not immediately available for comment. The Senators' demand for Fields ouster comes amidst growing concerns about corruption in Afghanistan and the inability of the US to keep track of how the billions of dollars it has invested in reconstruction are spent. The U.S. taxpayer spent more than $51-billion on Afghanistan reconstruction between 2002 and 2010, with much of that going to training Afghanistan security forces. President Obama's recent budget requests asked for an additional $20-billion, according to the SIGAR website. An earlier audit of SIGAR by Inspectors General from other federal agencies found it fell short of some professional standards. Fields himself had requested that audit which was unusual for such a young agency, one formed only in 2008. "We observed deficiencies and significant noncompliance with these standards," that report said from the Council of Inspectors General on Integrity and Efficiency. The Senators said the report found numerous problems with SIGAR's work. "The reviews also found that the agency has no meaningful strategic plan for their audits and investigations and that leadership at SIGAR remains more concerned with the quantity of their work rather than the quality," the senators said in their letter. In a letter for Secretary of State Hillary Clinton and Defense Secretary Robert Gates, Fields says he has accepted all the recommendations in the report, calling them "invaluable in helping us operate more efficiently and effectively." He said in that August 6th letter on the SIGAR website that many changes had been made already and that he expected all to be addressed by the end of this month.